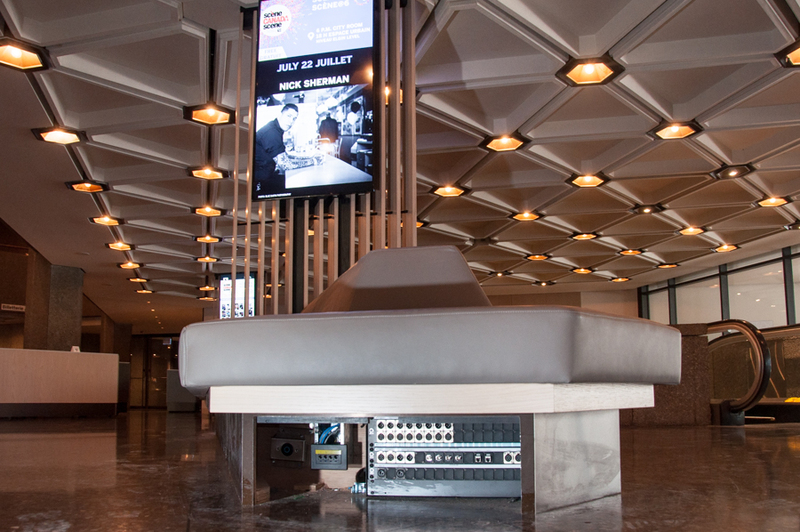 The National Arts Centre (NAC) is a performing arts centre in Ottawa and has undertaken an architectural rejuvenation project in advance of Canada’s 150th birthday in 2017. The project focused on transforming the exterior building and lobby spaces and includes engineering, manufacturing, programming, supplies, pre-build and final installation and configuration of specified AV systems. 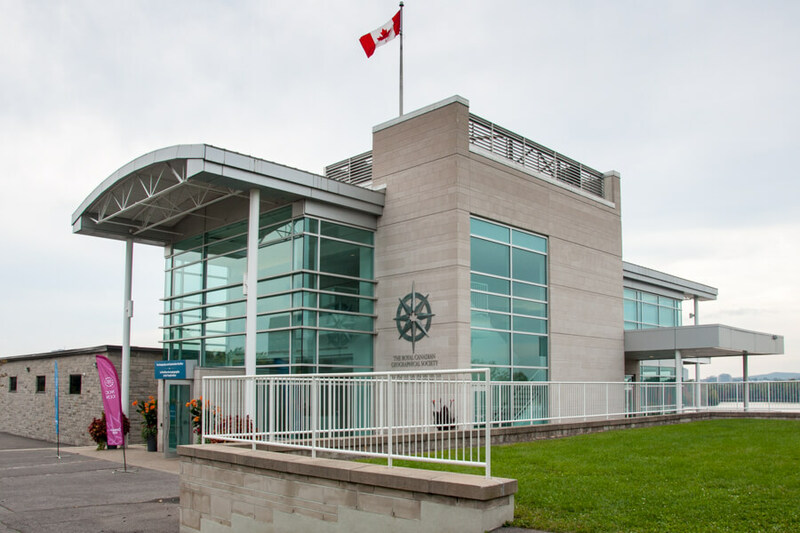 Capello was involved in the NAC’s architectural rejuvenation project from the beginning and managed the project’s AV system among trades, including site meetings through to project completion. 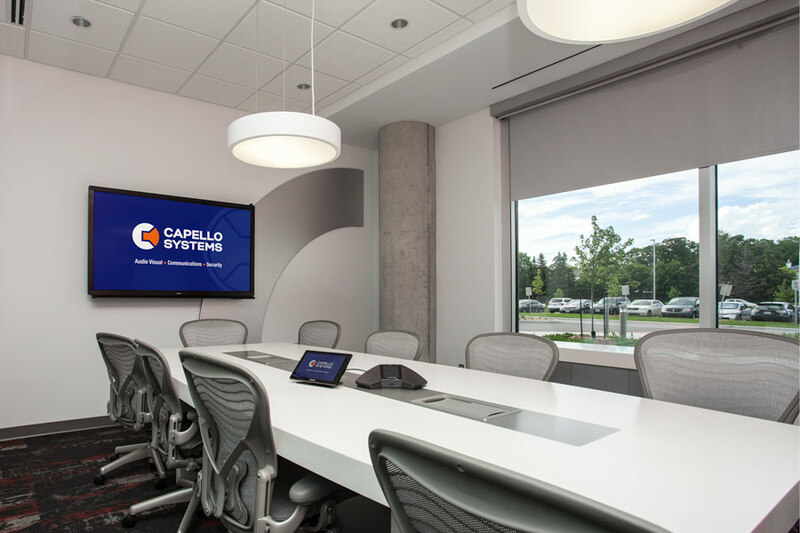 As required, Capello’s team coordinated the installation and integration of Audio Visual components with its project and construction team as well as general contractors and tradespeople. Capello oversaw the planning of the Audio Visual system components and all AV related cabling. A project such as this also required a fine attention to detail, and all millwork had to be correctly implemented so that the AV systems would fit in the existing footprint. 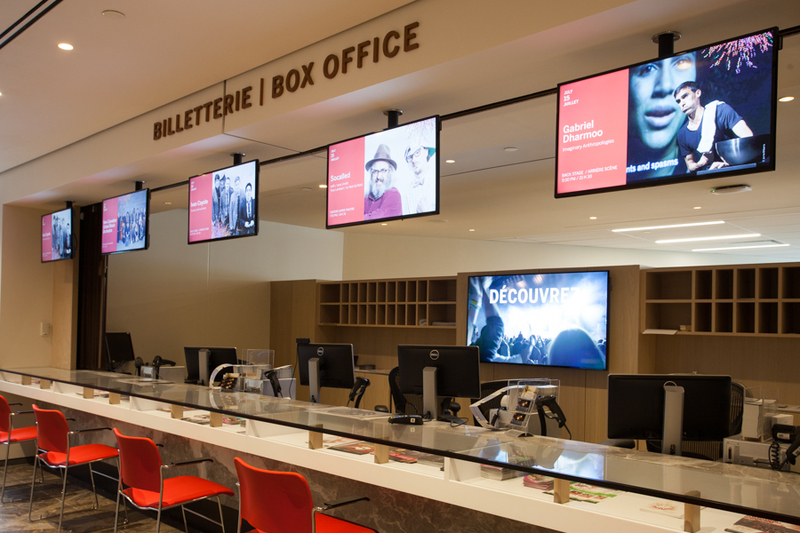 The National Arts Centre now boast performance and presentation events in lobby areas, a dedicated performance space, divisible banquet facilities (each with their own AV system) and AV distribution throughout the entire facility. There are dedicated areas for distance learning and performance, a dedicated studio for generation of web content and a small live performance venue. 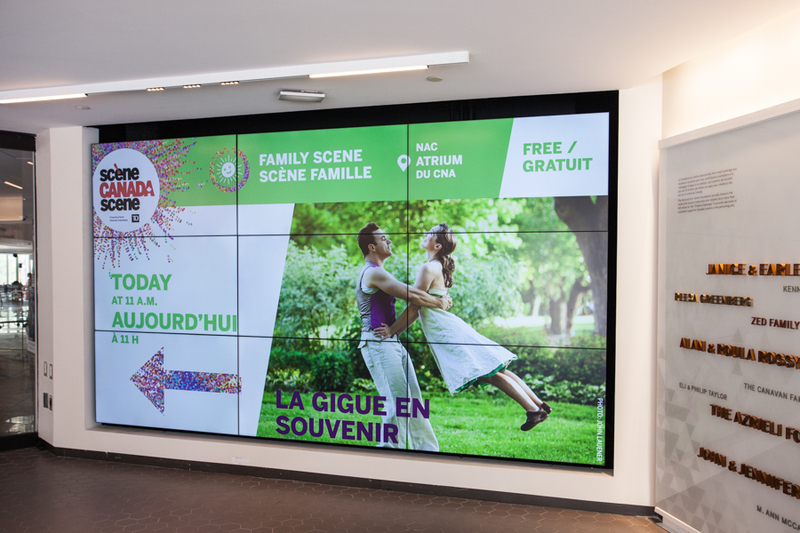 The exterior facing large format video wall shall be used to present artistic content as well as providing information about upcoming events. 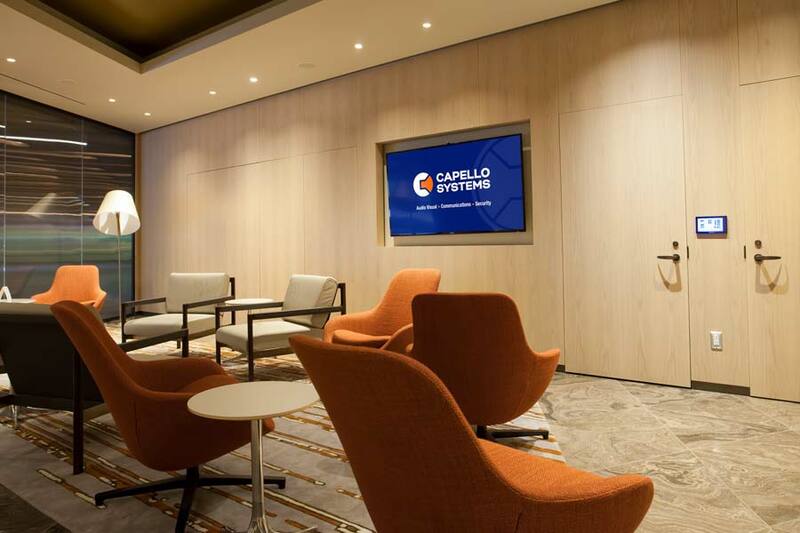 The facility incorporates multiple sound reinforcement zones and the external facility and lobby areas incorporate video displays and large format video walls, all integrated by Capello. 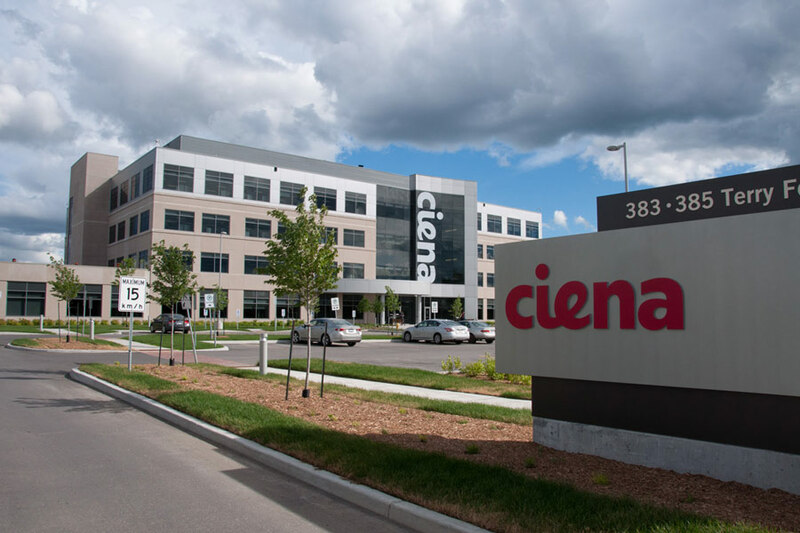 When Ciena expanded their offices from one to three locations, they required a customized, Audio Video teleconferencing system and hired Capello to integrate it over their three locations. Building A’s project included 24 small meeting rooms including huddle spaces and interactive meeting rooms, 7 medium video teleconferencing rooms and 4 large meeting rooms. Cable access television systems complete with IT monitors were also required for breakrooms, kitchens and 7 additional ConnectSpaces. Building B required 12 small meeting rooms along with 9 medium and 3 large meeting rooms. Cable access television systems were required for 1 training room, 2 conference rooms and 1 dining area. Building C’s project included 7 small meeting rooms, 5 medium and 2 large meeting rooms to go along with 4 cable access television connected spaces including 2 breakrooms and kitchen spaces. Small rooms seat six participants at a table, either in the centre of the room (meeting style) or up against the wall (huddle style). Video sources typically connect directly via HDMI cables to a 65” Samsung display in the room. Controls for these small rooms is via a display remote. Large rooms accommodate up to 16 people seated at a square table. There are three access Extron HSA402 enclosures and available connections include HDMI, RJ45 and various adaptor dongles. Video output uses an Optomo EH500 projector on a 110” fixed screen. 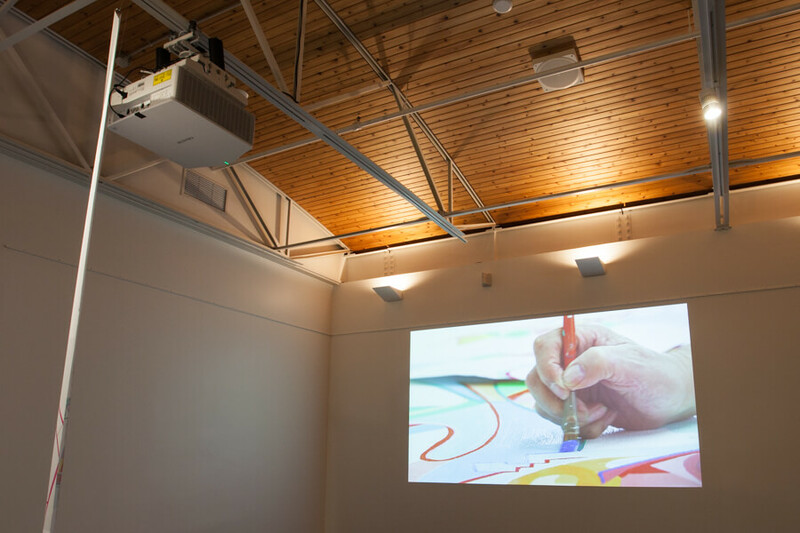 These large rooms are controlled using a hand held remote for the projector. Breakrooms/Kitchenettes include 48” displays that display content provided by locally installed CATV digital set boxes. Control for these displays is via hand held remotes for the CATV box. ConnectSpaces include 48” displays that display content provided by locally installed CATV digital set boxes. Large dining areas/cafeteria with table seating for approximately 200 people can be converted to theatre style seating for large scale meetings and presentations. Six 65” LCD screens in the corners display CATV type content when the room is in dining room mode and two large projection screens can be used when the room is configured in theatre style. 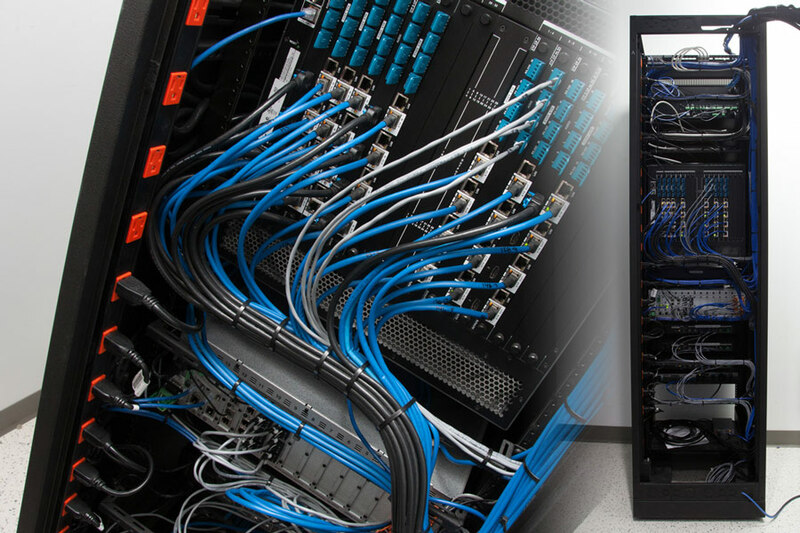 These rooms are serviced b a centralized matrix switch and control. Training rooms are large divisible rooms that can accommodate up to 24 people on each side seated in a classroom type setting. Instructors present from the front of the class when the room is divided and when open one large projection screen acts as the main screen with two smaller side screens acting as support. 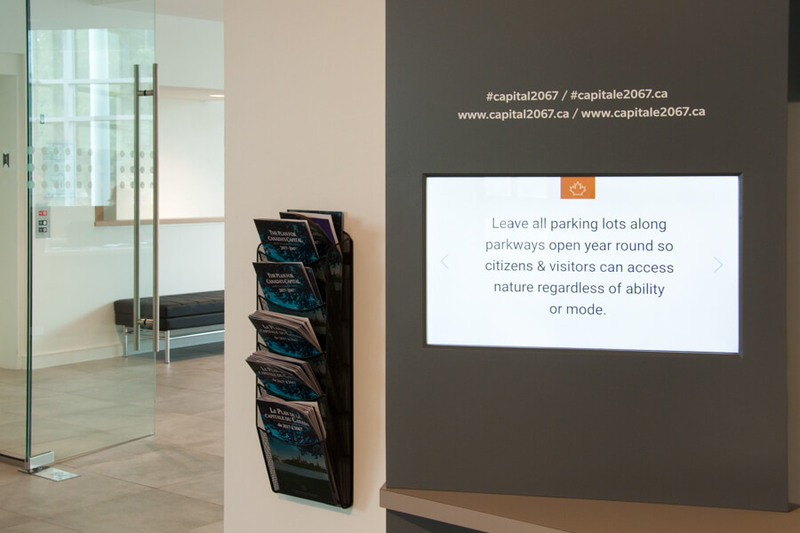 Capello provided a fully integrated presentation system, each with individual display controls. The system which included hardware, subsystems, and associated industry-leading components keep up with the rigours of heavy daily use. When IKEA required a new public address system integrated into its Ottawa location on Iris Street, IKEA hired Capello. The new IKEA location, measuring almost 37,000 square meters (the equivalent of five Canadian football fields) was now four times the size of the original IKEA, and the largest IKEA in Canada. The integration of an overhead paging system in a location the size of IKEA was no small feat. It required speakers, volume controls, an audio and video source, amplifiers and the ability to play internal commercials and emergency messages. The integrated paging system is used through the integrated phone system. All telephones have the ability to page each zone as needed. Its main control is housed in a lockable system cabinet that also provides a clear view of controls without unauthorized personnel being able to adjust volume or amplification controls. Whenever the emergency message is played, all speakers in the store, parkade and the customer loading area automatically default to a pre-determined higher sound level and override any and all volume controls throughout the entire store - including all conference, training and office rooms. The emergency message is manually activated, continues to play until switched off, and has the ability to change and re-record the message on-site, without the need for a technician. For advertising or informational purposes, the integrated ‘Adcaster’ system has the ability to record 30 second messages that can be automatically played on demand, or at certain times, for example, a pre-recorded ‘store closing in 15 minutes’ message played once a day. Whenever paging by phone or the Adcaster, the music automatically stops until the page is complete. Capello’s public address system continues to be the lifeblood for IKEA Ottawa’s internal communication. System integration and automation make communication possible without a steep learning curve. The Centre for Geography and Exploration hired Capello for the installation and programming of a new AV system. 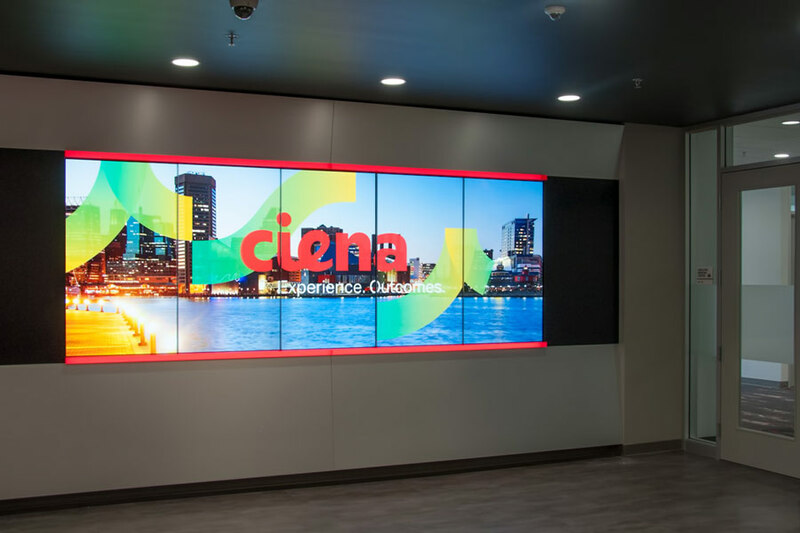 The Centre required a system to play music and broadcast speeches that was compatible with the pre-existing Crestron touch screen unit, already installed for lighting and blinds at the building. Each floor required an independent wireless microphone system as well as a wireless music player. Capello's engineers supplied, installed and programmed an Audio Visual system that included an Electro-Voice, 2-channel dual zone amplifier that delivers two completely independent audio zones for the ground and second floors of the building. 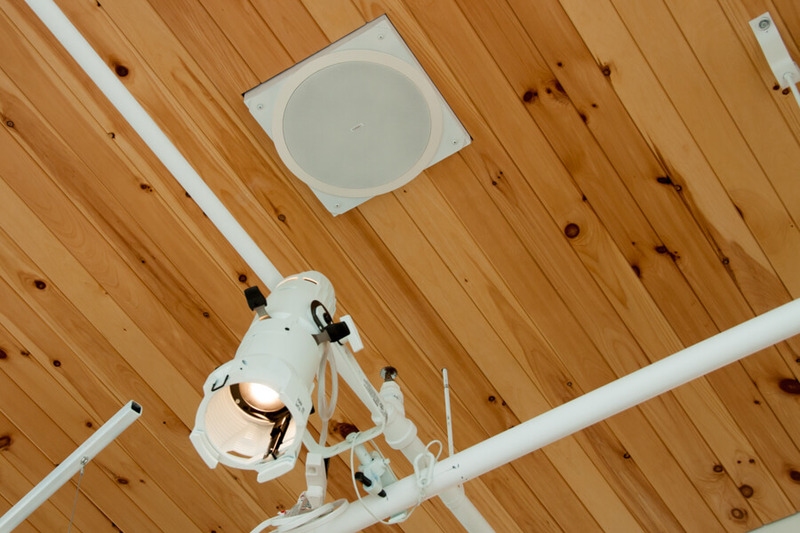 Eight new QSC in-ceiling speakers were installed, replacing the existing paging speaker system. The old system speakers were very basic speakers used to make announcements or play quiet background music but were not independent of each other. Each floor has two TOA wireless receivers, TOA microphones, a Bluetooth connection, and a hardwired audio jack. Control over the audio system is through a Crestron Control System and a 7" Crestron touch panel. Capello’s system continues to support the business functions of the Centre for Geography Exploration. 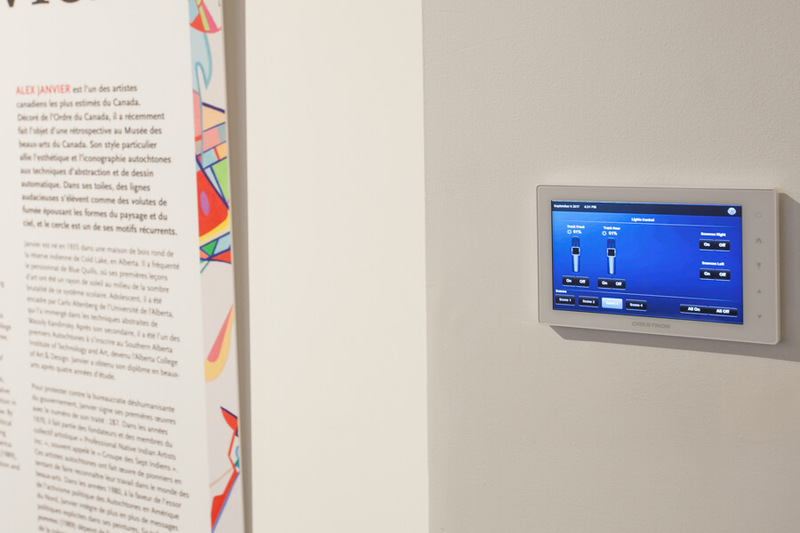 The independent audio zones allow for greater flexibility and the integration with the existing Crestron touch panel means an easier user experience and a happy client! 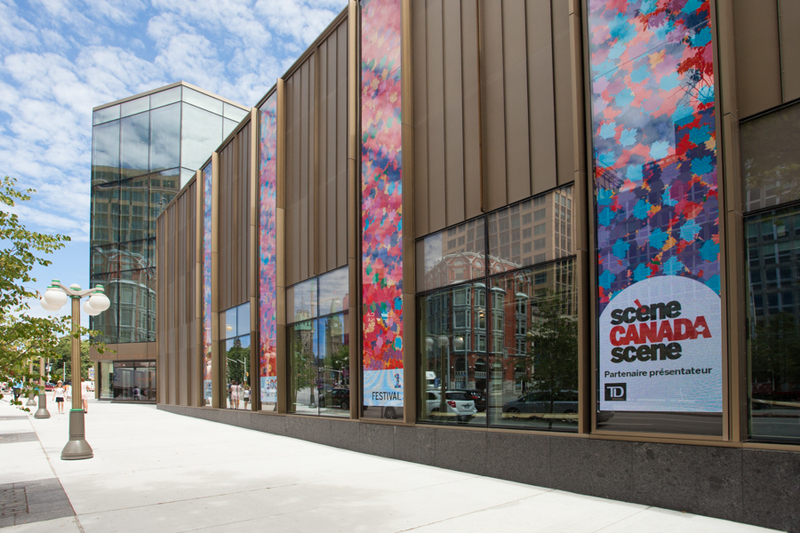 Claridge Homes hired Capello to supply and install various Audio Visual and security systems throughout the newly constructed Hyatt Andaz Ottawa Byward Market Hotel. The new systems had to meet the requirements outlined by the Hyatt Andaz standards. Capello's closed circuit (CCTV) security system includes 48 IP dome cameras all routed through Power over Ethernet (PoE) switch; which allows for a single cable to provide both data connection and electric power to devices. The cameras connects to a network video recorder with 8Tb of storage. Viewing, playback and configuration of the security system is possible through software installed on a computer. The hotel's ground floor includes a distributed eight zone, twenty-three speaker audio system incorporating audio feeds from local inputs and a base building background music system. The system connects to the main rack and offers independent audio zones throughout the hotel including the bar, restaurant, lobby/check in, elevators and more. A video system, equipped with a 65" Panasonic Pro Grade 1080p LED, local HDMI and VGA inputs also integrates and programs lighting, motorized all from one central Crestron Touch Panel. A Crestron Digital Media System was installed for audio and video distribution to 4,500 sq ft for meetings and cosmopolitan events, split into 6 Andaz Studio spaces complete with fourteen HDMI inputs and six VGA inputs. The system controls six 3,500 Lumen Panasonic Full HD Solid Shine laser projectors, six Draper recessed motorized projection screens and an eight zone, twenty-four speaker audio system that incorporates audio feeds from the meeting rooms, local microphone inputs and base building background music system. 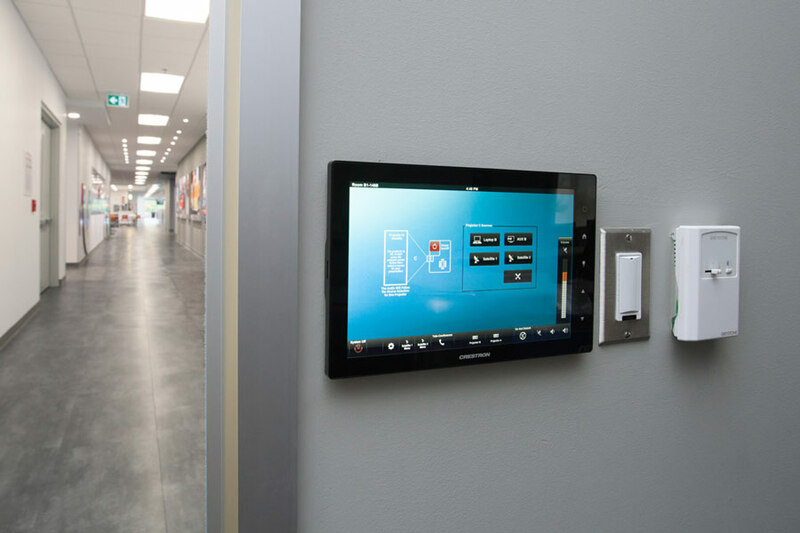 Each room is also controlled independently through 7" touch panels as well. The hotel's 16th floor Copper Lounge Bar includes a dual-zone audio system for the bar and patio. This system is independent of the main system. The bar consists of six EV surface mount speakers complete with integrated amplifier, while the patio consists of eight landscape series speakers. With 4,500 sq ft of meeting and event space, the Hyatt Andaz Ottawa Byward Market offers its guests six innovative Andaz Studio spaces flooded with natural light for meetings, events, and special celebrations. Capello's integrated system is flexible and seamless, complete with built-in AV including projectors and screens. The hotel guests coordinate all of their details with a dedicated planner, making the process convenient and allowing their AV requests to be just as they like. The University of Ottawa's Fauteux Hall, which houses the Faculty of Law, provides both classroom space and a moot courtroom that allows students to practice and view mock trials. As part of an ongoing effort to offer students the best possible education, Fauteux Hall was recently targeted for a major overhaul. New seating, paint, acoustic wall coverings, carpet and sliding walls were all added during the renovation, which took place during summer 2004. Capello audio worked closely with the University to design a flexible audio video system that would meet specific room needs. Emphasis was placed on the functionality of the equipment and installation and the seamlessly integration with the ongoing upgrades. Because there are two adjoining rooms that can be added to the main hall by simply opening the dividing walls, the entire Audio Visual system, including the projector feeds, room equalizing and touch panels all had to be designed to automatically adapt as the walls are opened or closed. Given the diversity of people that use the facility - including full-time professors, part-time professors, visiting judges and professors and students - Capello had to account for the fact that the operator would often have no prior experience with the system. We made sure that all the new equipment was housed in, and controlled from, a central booth. The main control panel adapts as one or both the sub rooms are added, and is able to manage the lights, projector, source signals and volume in each sub room. Each sub room also has a dedicated control panel. These panels run all room functions when the rooms are cut off from the main hall, and lock automatically when the partitions are opened. The rooms can also be completely controlled from anywhere on the building's LAN by using a standard web browser. This was a critical request from the University, since they needed to provide for rapid response to any problems that would arise in the classroom. Future control and capacity has been built into the system to allow for audio/video conferencing. Capello responded to these challenges, and many others that arose during the consultation, design, installation and servicing phases of the project. The result is a cutting-edge facility that does credit to the university's reputation as a technological leader, and will help ensure the best possible education for students now and in the future.